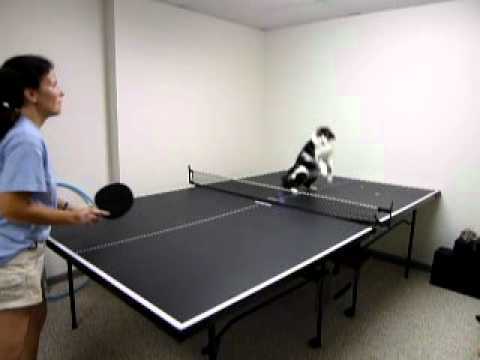 There are 7 cat videos tagged with ping-pong. Birch's First Christmas at the Parrs and discovering ping pong. 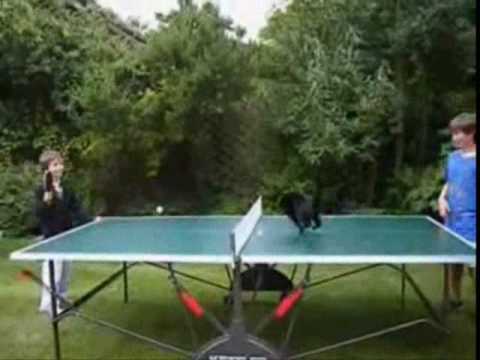 This is a video of one of my cats playing Ping Pong with me. What I like best about this video is the way he crouches behind the net prior to the serve. The way he is consentrating you''d think it was an important match. This silly cat just wants to play along with the humans! 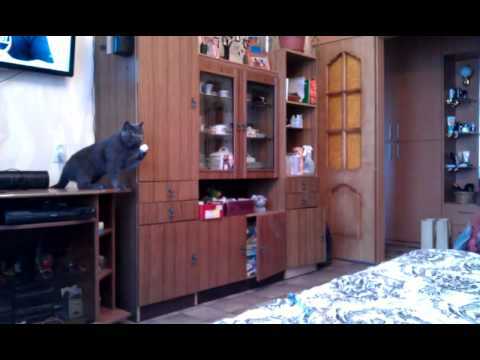 A beautiful blue British Shorthair cat sits on a counter and hits a ping pong ball back and forth. We could watch it all day!